The pericope from 1 Corinthians 14 contains a troubling passage which might be a later addition to it. In the context of cautions against seeking glory for oneself and thereby causing disruption in the church we read that women (actually, wives, in Greek) should be silent and subordinate in church. The meaning is probably that a wife who disagrees with or contradicts her husband in church will cause discord in the congregation, maybe by embarrassing him. Furthermore, some women in the Corinthian congregation were questioning speakers during worship. On the other hand, St. Paul the Apostle worked well with other women (such as St. Prisca/Priscilla, wife of St. Aquila), who taught, and many of the troublemakers in the Corinthian congregation were men. (For details regarding St. Prisca/Priscilla, read Acts 18:1-28; Romans 16:3; 1 Corinthians 16:19; and 2 Timothy 4:19.) One might also refer to Pauline assertions of equality in Christ, as in Galatians 3:27-29. And, with respect to the pericope from Judges 5, Deborah was a chieftain of the Israelites. 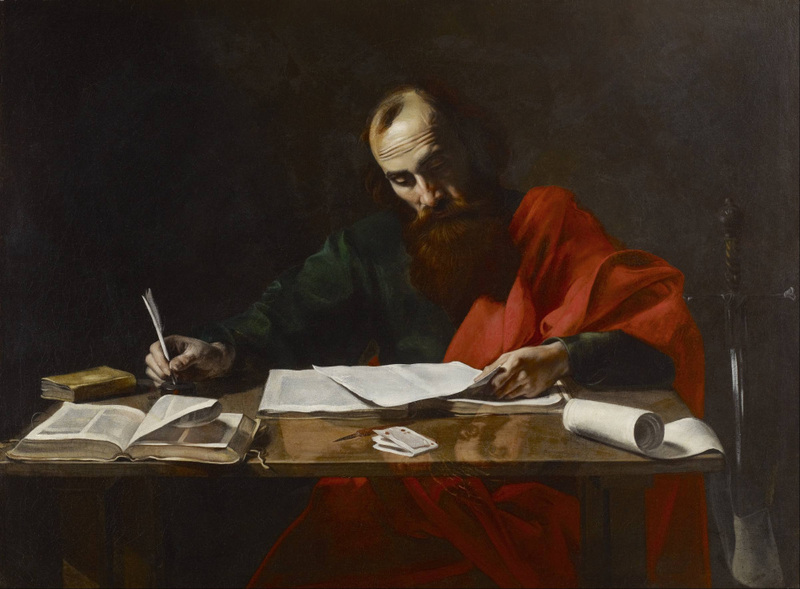 One of the contexts in which to interpret a passage of scripture is the entirety of the Bible. Another is the immediate environs (textual, historical, and geographical) of the passage. Nevertheless, sexist attitudes consistent with patriarchy permeate the Bible. I refuse to validation. Each of us learns from culture. This curriculum is of mixed quality. May we recognize the bad, reject it, and refuse to call it holy. Meanwhile, may we refrain from causing disruptions in church. The biblical texts contain many repeated themes. Among them is the command to obey God’s laws coupled with warnings of the consequences for not doing so followed by those consequences. 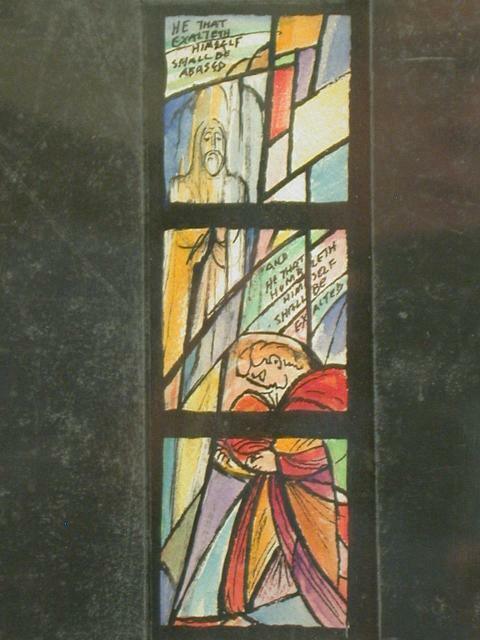 The Prophet Jeremiah, aware of those sins and their consequences, asked God for mercy on the people in Chapter 14. In Jeremiah 15, however, God paid “no” in many words. Much of the Old Testament tradition agrees with that statement. So does the Pharisee from the parable in Luke 18:9-14. He has kept the Law of Moses as best he knows how, as his tradition has told him to do. But he misses one thing, another element of the Old Testament tradition: humility before God. But you take no delight in burnt offerings. You seen then it is by action and not by faith alone that a man is justified. For all alike have sinned, and are justified by God’s free grace alone, through his act of liberation in the person of Christ Jesus. What room then is left for human pride? It is excluded. And on what principle? The keeping of the law would not exclude it, but faith does. For our argument is that people are justified by faith quite apart from any question of keeping the law. According to St. Paul, the Law of Moses did its job until Christ did his, so Jesus has fulfilled the Law. Even in judgment there can be hope, hence the lection from Joel. The judgment which Jeremiah hoped would not come did arrive. Later, however, so did mercy in extravagant doses. Grace indeed! Grace is also something we are supposed to extend to each other. Wasn’t the poor chap [the Pharisee] simply doing what God had told him to do? Well, from one point of view, yes. But Jesus was constantly nudging people, or positively shoving them, towards seeing everything differently. Prayer is about loving God, and the deepest Jewish traditions insist that loving God is something you do with your hart, mind, soul and strength, and your neighbour as yourself, not calculating whether you’ve done everything just right and feeling smug because your neighbour hasn’t managed it so well. So I extend to you, O reader, a small portion of grace which a friend, at God’s prompting, gave to me. Each of us is called to respond positively to God, who has done much for us. Part of this sacred vocation is extending grace to our fellow human beings. We have an excellent role model: Jesus of Nazareth. May we follow him. You shall appoint magistrates and officials for your tribes, in all the settlements that the LORD your God is giving you, and they shall govern the people with due justice. You shall not judge unfairly: you shall show no partiality; you shall not take bribes, for bribes blind the eyes of the discerning and upset the plea of the just. Justice, justice you shall pursue, that you may thrive and occupy the land that the LORD your God is giving to you. There is a profound link between how we regard God and how we act toward one another, not that Atheists cannot be moral people and agents of what the Lutheran confessions of faith call civic righteousness. Yet, if we love God, we will love one another actively. …response to God the Father, through Jesus Christ, in the power of the Holy Spirit. No, prayer is really about the covenant God has written on our hearts. So, according to that definition, how is your prayer life? You might struggle with God, O reader, but that is fine. In Islam people submit to Allah, but in Judaism they struggle and argue with God. I, being a strong-minded person, enjoy that part of my religious heritage. At least there is a relationship with God through all that struggling. And a transformed state awaits each of us at the end. A trickster came to play a prominent role in salvation history. And one gains much valuable understanding through the struggles. May we persist in our struggles with God and in our efforts to behave justly, for the glory of God and the benefit of others. The process will transform us, making us better. That is one valid way to understand the efficacy of prayer. The readings for January 31 and February 1 make more sense together then spread across two days. That is my conclusion, at least. There will be some difficult times. People will be self-centred and avaricious, boastful, arrogant, and rude, disobedient to their parents, ungrateful, irreligious; heartless and intractable; they will be slanderers, profligates, savages, and enemies of everything that is good; they will be treacherous and reckless and demented by pride, prefering their own pleasure to God. They will keep up the outward appearance of religion but will have rejected the inner power of it. (Human nature has at least been constant. The past, present, and future seem identical in this regard.) Anyhow, we read in 2 Timothy to follow the truth, accept sound teaching, and be on guard against harmful people. 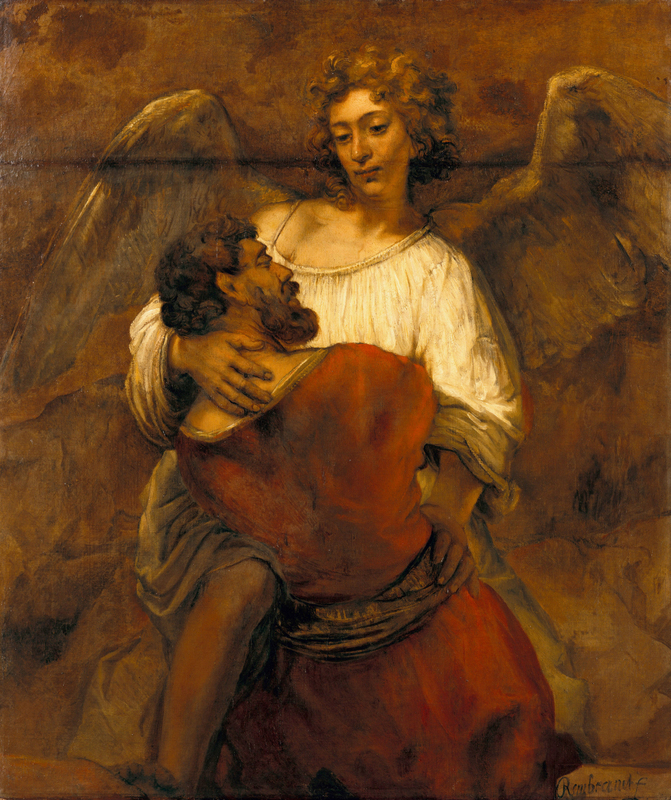 We–beginning with the author of this post–must always be careful not to confuse disagreement with one (in my case, myself) as proof positive that the other person is a bad shepherd, a false prophet, a harmful individual. Maybe the other person is all those things, but perhaps he or she just has some different opinions. I am convinced, for example, that early Church leaders were correct to insist that Gnosticism constituted false doctrine. The main problem with Gnosticism is that it denies the Incarnation, without which there is no Christianity. That one was easy. Law and theology are easy at the extremes. But what about opinions regarding certain points of Calvinism, for example? Christians of good will can–and do–disagree strongly. And all follow Jesus. 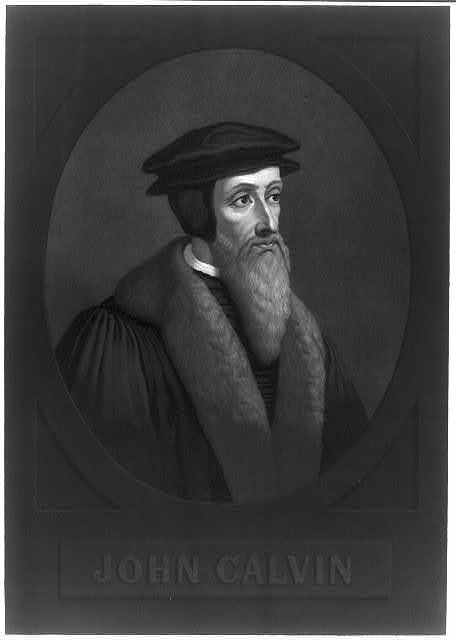 Speaking of Calvinism, one aspect of it offers a nice and good way out of many disputes. John Calvin spoke and wrote of a category called “Matters Indifferent.” Anything in that category is optional. The Incarnation is vital, but whether one observes Christmas is a Matter Indifferent, for example. So, with Calvin’s category in mind and a well-honed sense of theological humility before us, may we avoid idolizing our own opinions. We might change them one day, after all. And we are imperfect.